Today, we are announcing two incremental list price updates to reflect this value. 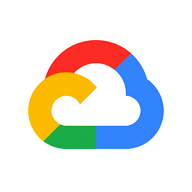 Starting on April 2, 2019*, G Suite Basic Edition will increase by $1 (from $5 to $6 per user/month) and G Suite Business Edition will increase by $2 (from $10 to $12 per user/month), or the local currency equivalent where applicable. These increases will apply globally with local market adjustments for certain regions. Pricing for G Suite Enterprise Edition customers will not change. Yeah, this was announced a while ago. I’m not too concerned about it personally, it’s a minor price increase. I could see it being a concern for large businesses though. Interestingly enough, the reseller that I buy G Suite from hasn’t given me any info about how this price change will affect them. . .